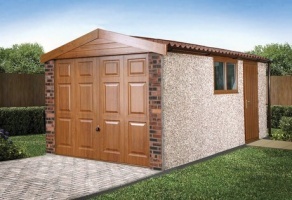 For 2016 we are pleased to extend our ever popular Deluxe range by adding the all new Pent Mansard Deluxe and a range of Pent and Apex Deluxe sheds. 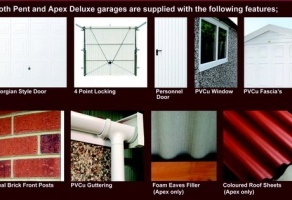 With easy to follow discounted pricing, the Deluxe range really does represent outstanding value for money. Full details can be found below. 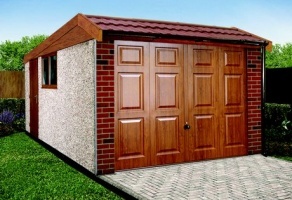 The Deluxe range is available in two different styles; either our popular flat roof Pent style garage, the traditional pitch Apex roof style, and now the stylish Pent Mansard. 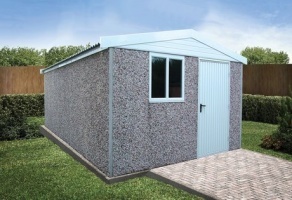 We even have Pent and Apex Deluxe sheds available! 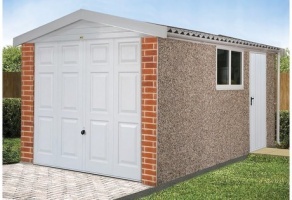 The Pent Mansard Deluxe has all the great features of our popular Pent Deluxe but adds an attractive front elevation with stylish Metrotile tile effect roof sheets. 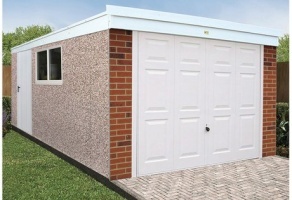 Available as in flat roof Pent style or pitch roof Apex style the Deco Deluxe will add fantastic kerb appeal to almost any property. And as all the features are PVCu not timber, they are virtually maintenance free and with a simple wipe down with soapy water will look fantastic for years to come! *Colour shown in the image is Golden Oak. Images are for illustration purposes only, actual colours may vary slightly.